Hurricane Irma is still impacting the state of Florida as of Monday morning, ripping through North Florida and leaving the southern part of the Sunshine State crippled. Online sportsbook SportsBettingOnline.ag has a number of close ties to Florida, including a large customer base that has been displaced due to evacuation or disabled due to power outages. And due to this catastrophic disaster, we are crediting back all losing wagers including football bets online graded this weekend from customers living in the state of Florida. Johnson didn’t have an exact number of wagers or total handle from those residents of Florida, but says his customer service team is going through their geo-targeted database by hand, making sure all of their Florida bettors impacted by Hurricane Irma are returned their stake on losing wagers from this weekend's action, which include Week 1 of NFL and Week 2 of college football. Hurricane Irma caused many sporting events to be cancelled and postponed this weekend, including the NFL Week 1 matchup between the Tampa Bay Buccaneers and Miami Dolphins. With that game moved to Week 11 of the schedule, all wagers on that contest were refunded no-action as soon as the league moved the game date. 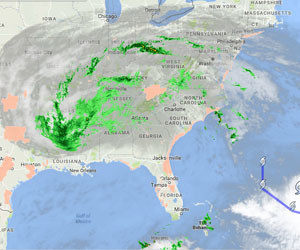 A number of college football games were also impacted by the hurricane and will continue to be as the storm rolls over northern Florida and into Georgia and Louisiana. This isn’t the first time Johnson and SportsBettingOnline.ag have issued returns on losing wagers to their customer base. The online book is renowned for issuing refunded bets on bad beats in both the NFL and college football, as well as golf tournament in which the leader suffered final-round collapses. If you are a resident of Florida and for any reason your losing bets were not credited back please email pressrelease@sbo.ag. SportsBettingOnline.ag is an online sportsbook that offers wagering on all major and professional sports.